Shirts With Random Triangles: Georgia Adds Four-Star OLB Prospect Jaden Hunter To 2017 Recruiting Class. Georgia Adds Four-Star OLB Prospect Jaden Hunter To 2017 Recruiting Class. Jaden Hunter. Image via The Atlanta Journal-Constitution. Georgia has added four-star outside linebacker prospect as the third commitment to its 2017 recruiting class. Atlanta, GA. high school junior OLB Jaden Hunter announced his commitment to the Bulldogs on Monday. Hunter is the son of former Georgia wide receiver Brice Hunter. The elder Hunter was shot and killed during an incident outside his Chicago apartment in 2004. 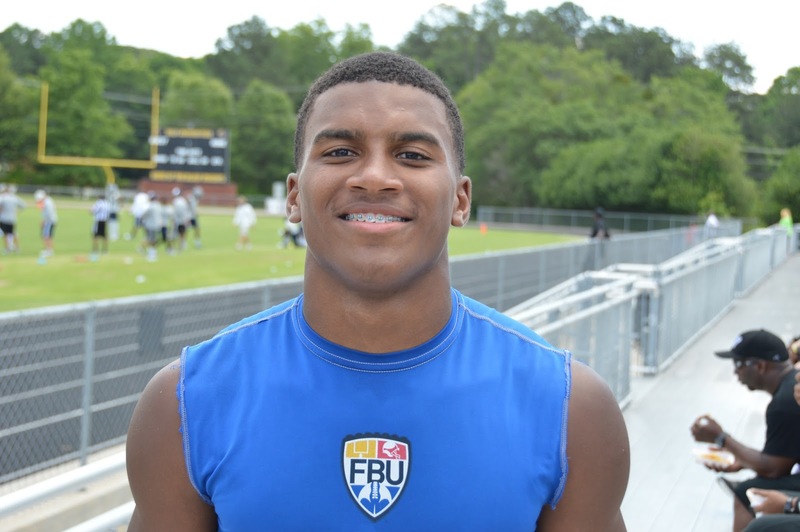 247Sports grades Hunter as a composite four-star outside linebacker. The recruiting website ranks Hunter at no. 8 among OLB prospects for 2017, at no. 18 among 2017 prospects from the state of Georgia, and at no. 135 in its composite rankings for 2017 prospects nationally. Hunter attends Westlake High School in Atlanta, GA. He stands 6'3, and weighs 218 lbs.